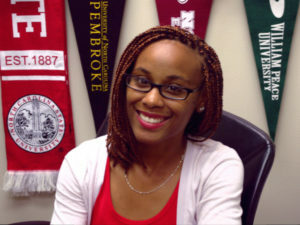 The GEAR UP Program is a critical component of the U.S. Department of Education’s efforts to improve college access and completion for students who have been traditionally underrepresented in postsecondary education. The Department believes that GEAR UP projects can play an essential role in improving postsecondary outcomes of their participants by placing a greater emphasis on increasing readiness for success once students reach the postsecondary level. WPPS has teamed up with WCPSS to apply for this year’s award. Each of the six partner campuses will agree to provide GEAR UP graduates who enroll on their campus with the opportunity to participate in two or more program activities in each of the five categories. The number and exact nature of the activities will vary on each campus, but the activities offered must serve the same research-based objectives that have been shown to promote first-year student retention and academic success. 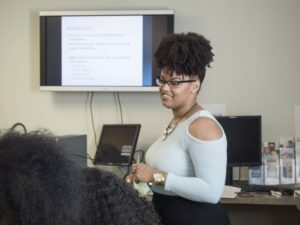 To encourage cross-campus connections, increase program efficiencies, and create a broader community of Wake Scholars, the campuses will also be encouraged to partner for some of the programming. For example, Wake Scholars from several or all the partner campuses may participate in a leadership workshop hosted on one campus, but presented collaboratively by staff from multiple partnering IHEs.